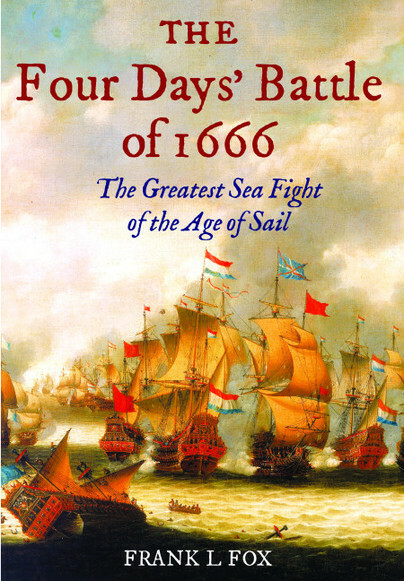 You'll be £16.99 closer to your next £10.00 credit when you purchase The Four Days' Battle of 1666. What's this? On 1st June 1666, during the second Anglo-Dutch War, a large but outnumbered English Fleet engaged the Dutch off the mouth of the Thames in a colossal battle that was to involve nearly 200 ships and last four days. False intelligence had led the English to divide their fleet to meet a phantom fleet from France and although the errant squadron rejoined on the final day of the battle, it was not enough to redress the balance. More than 1,500 English sailors were killed, 2,000 taken prisoner and two vice admirals killed. The battle ended when the English escaped into a fog bank, both fleets by this time having expended their ammunition. Like many a defeat, it sparked controversy at the time, and has been the subject of speculation and debate ever since. The battle was an event of such overwhelming complexity that for centuries it defied description and deterred study, but this superbly researched book is now recognised as the definitive English-language account. First published in 1996, it provides the only clear exposition of the opposing forces, fils many holes in the narrative and answers most of the questions raised by the actions of the English commanders. The narrative is totally engrossing and worthy of what was the greatest battle anywhere in the age of sail, and this new paperback edition will bring the story to new readers who missed the book in its earlier editions. Fox‘s work remains the authoritative study of the battle and its strategic context, and Seaforth Publishing is to be congratulated on reissuing for a new generation of students of naval warfare. The book, however, has lessons for the present day. There is a wealth of knowledge presented in this work. The research that went into it is very meticulous. This edition includes years of updated research done since the hardback was originally published in 1996 as A Distant Storm. Happily, the text is always interesting and entertaining. If you want to learn the facts about this period of naval warfare there is no better way to do so than by reading this book. I’m certainly glad I did. This is a most thoroughly researched volume which gives added insights into the power politics of the day and is definitely one for the naval historian’s bookshelf.